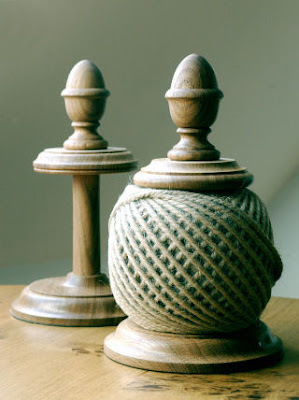 This beech twine holder follows the same basic design - with less styling. 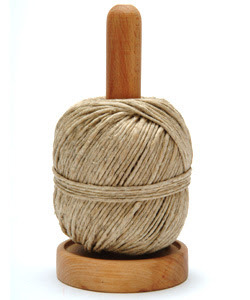 And this jumbo twine stand, made of oak, is a real beauty! There's a smaller version, too. 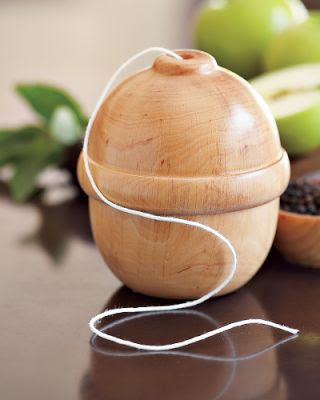 This acorn-shaped twine holder is made of alder wood. 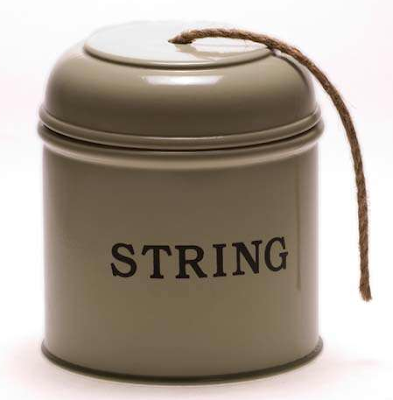 Moving on from these wood options, here's a string dispenser made of enameled tin. 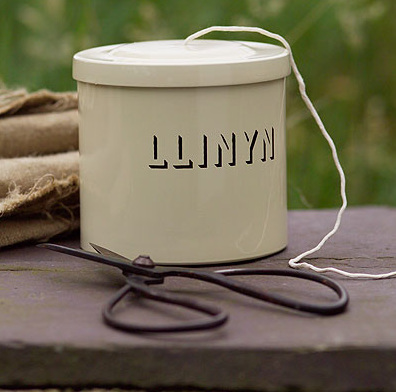 And here's the Welsh version! 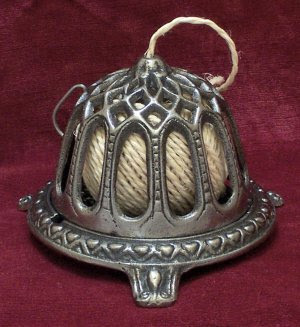 Or what about a cast iron string dispenser - a replica of a Victorian style? Here's another reproduction Victorian string holder. 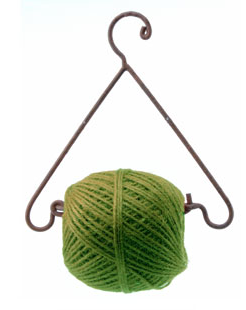 And finally, here's another hanging twine holder. Your post is very timely. This past weekend I was in cooking-mode and for the umpteenth time I vowed I was going to find a gizmo to keep my cooking twine organized. Yesterday, one of my clever clients showed me a budget-version: drop the twine in a glass jar, poke a hole in the lid of the jar and, presto! Your examples are much better looking! 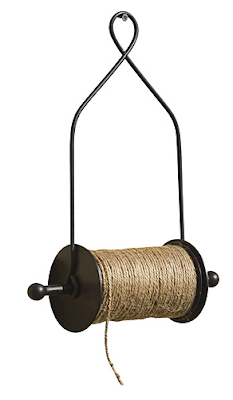 Wow, who knew there are so many attractive twine dispensers out there! 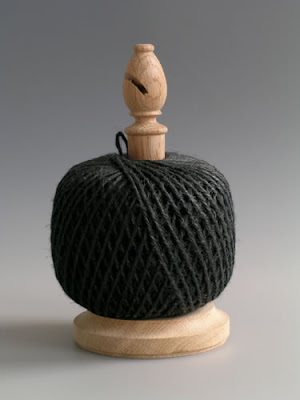 I'm looking for a more industrial application - that would hang and have a little blade to cut the twine. Any ideas?